This paper aims to develop a better understanding of how the disability community can engage more effectively among themselves and with governments so as to move public policy issues and reform agendas forward. The paper’s focus is on the participation of disability organizations and associations, and the disability policy community as a whole, in public policy processes in Canada. 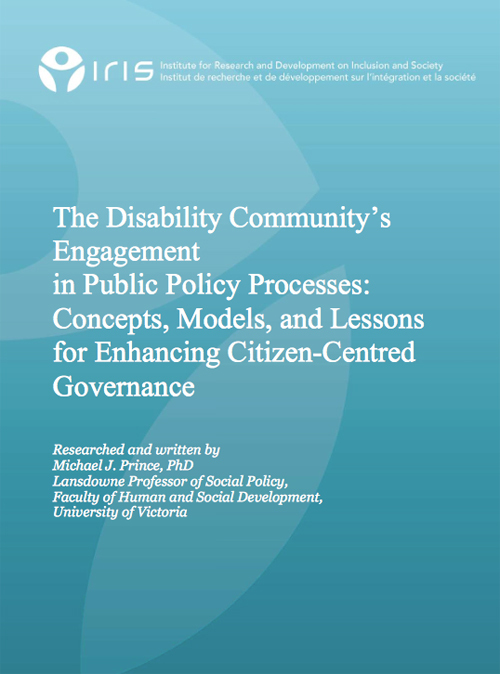 The central purpose is to identify actual and potential models of engagement both among, and between, disability organizations and associations, and government members, legislators, judges and public servants in relation to policy processes.